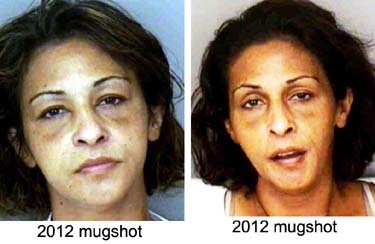 FLORIDA -- Wafa Floreish is an example of a career criminal. She was arrested in October 2005 for animal cruelty and just continues to break the law. I couldn't find anything about the animal cruelty case. If you do, please post below. 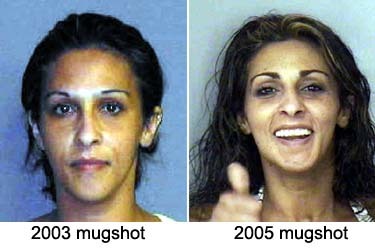 On April 20, 2003 she was first arrested for "knowingly" driving without a license or registration. On October 20, 2005, she was arrested for animal cruelty. Her bond was $500. Her name is listed as Wafa Floreish. On April 4, 2012, she was arrested for violating probation by being in possession of drug paraphernalia. Her name is listed as Wafa Mohammed El-Qreish. 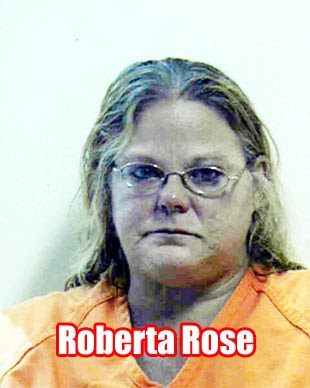 On October 10, 2012, she was arrested and charged with probation violation (VOP POSS DRUG PARA REMANDED). Her name is listed as Wafa M. Elqreish. 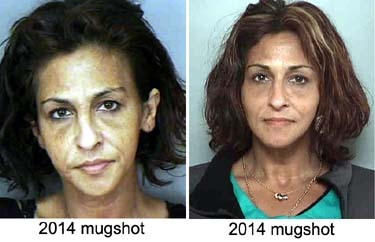 On September 29, 2014, she was charged with petty larceny 2nd degree, 2nd offense (shoplifting). Her cash bond was listed as $1,500. Her booking information lists her name as Wafa El-Qreish. On october 18, 2014 she was arrested again and charged with petty larceny 2nd degree, 2nd offense (shoplifting). Now she is going by the name Wafa Mohammed Elqreish. GEORGIA -- Upson County's Animal Control Officer has been suspended by county commissioners over an incident that occurred July 23. Smart Web has been with the county for eight years, and this is his first formal reprimand. Web was suspended for five days for allegedly not following procedure in declaring a pit bulldog dangerous after it bit an 8-year-old child in the face on Rualmaine Road. According to the Upson County Sheriff's report, the attack was unprovoked, and the young girl required stitches. According to Web, the grievance is because the dog had been released to the owner. Web said he did not release the dog, but former County Manager Mark Byrant did. "I spoke with Mark (Bryant) and he told me that the owner was taking the dog to Pike County and it wasn't our problem anymore," Web said. "That dog is dangerous. Our problem shouldn't have been given to another county." The dog was picked up the day of the attack and impounded. The pit bulldog is owned by a husband and wife who do not live together. She lives in Upson County and he lives in Pike County. "I told the wife I was going to declare the dog dangerous if she was going to pick it up," Web said. "I told her that because if she wasn't going to pick the dog up there is no reason for me to declare it dangerous," he said. If the dog is not picked up by the owner in 10 days, the dog is put down, according to Webb. During this time Webb was still attending Middle Ga. Police Academy at the county's expense. "I was at the school the county sent me to," he said. "I left orders for the dog not to be released. The dog would have been put down Aug. 3, if the owner didn't want to pick the dog up. "I notified the owner that the dog would be declared dangerous," Web said, "After hearing this, he wanted to pick his dog up." The Pike County man paid the animal control office via money order Aug. 3, according to their receipt book. The man picked the dog up Aug. 15. "I didn't know the dog was gone," Web said. "I was still going through normal procedure in declaring the dog dangerous." Web has since graduated, with honors, receiving a certificate from the basic law enforcement training course. He said he asked Bryant about the situation. "When I found out, I asked Mark about it. That's when he told me it wasn't our problem anymore. "When your boss tells you that it's out of your hands, it's out of your hands. I can't go over his head." Web said the mistake was not his. "This is a dangerous dog," he said. "It was a family dog that attacked without being provoked. I followed procedure, and now I'm being punished because my boss made the decision, not me," Web said. "This is an unjust situation." County Commission Chairman Glenn Collins had no comment. Web said he will appeal this decision at the next meeting of the Upson County Commissioners. ILLINOIS -- A Gurnee, Ill., man pleaded not guilty to wounding a neighbor's cat by shooting it twice with a .22-caliber rifle. Sean Hand, 40, pleaded not guilty Tuesday to charges of animal abuse, animal torture and criminal damage to property and faces a Nov. 28 trial in Lake County, Ill., Circuit Court. Police told the Chicago Tribune they did not know what prompted the July shootings that left the black tabby with a bullet in the right leg and a broken bone and its owner with a $4,000 veterinary bill. BRAZIL -- A pit bull killed a 2-year-old boy, attacking the child as he was playing in the backyard of his grandmother’s house in southern Brazil, local media reported Saturday. Guilherme Vieira was with his 6-year-old brother when the grandmother’s dog suddenly attacked them Thursday night in Ponta Grossa, 400 kilometers (250 miles) south of Sao Paulo, the Folha Online news service reported. The boy suffered severe wounds to his neck and head, and died shortly after being admitted to a hospital, firefighters said. 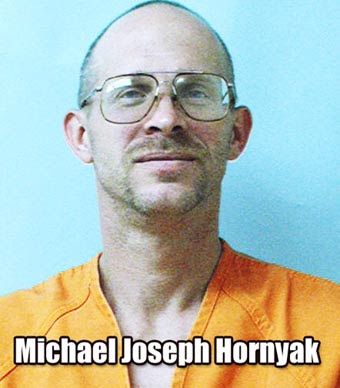 His brother escaped unharmed after the grandmother called authorities. The family said the dog, which was unleashed at the time of the incident, had always been around the children without problems, but neighbors told Folha that it had attacked other people before. Police was investigating the case, and could charge the grandparents with involuntary manslaughter.